To take group shots and better selfies on your iPhone, you can use your Apple Watch as a remote shutter for the Camera app—but what if you want to take a snapshot or video with a different app? 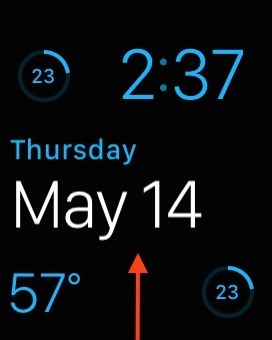 Reddit user JaJaWa recently discovered a trick that turns the Digital Crown on the Apple Watch into a remote shutter for third-party photo and video apps such as Snapchat, Flickr, and Hyperlapse, and it's very similar to taking pics and videos using an iPhone's volume buttons or headphones' remote. To use your Apple Watch as a remote shutter for third-party apps, open up the app you want (in this case, I'm using Snapchat) and enter the camera view to take a photo. 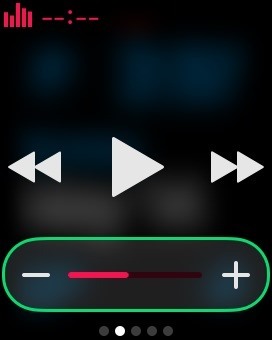 Then open the "Now Playing" Glance on your Watch and rotate the Digital Crown to snap a picture. This trick also works for Camera+, Hyperlapse from Instagram, Flickr, and Manual, and could work on other photo and videos apps that use volume controls as a shutter already. In our tests, Snapseed, Facetune, Diptic Video, Over, and AFilter are examples where this won't work. Also, it won't work in the stock Camera app either, most likely because there is already a dedicated method for taking pictures remotely that way. Also, this will not work in apps like Instagram, VSCOcam, PhotoStudio, Facebook, CamRub, and others that don't use the iPhone volume buttons shortcut. What third-party photo and videos apps worked for you using this trick? Share below so everyone can know!